The Keystone Hearing Institute is a privately owned and operated Audiology and Hearing Aid facility. 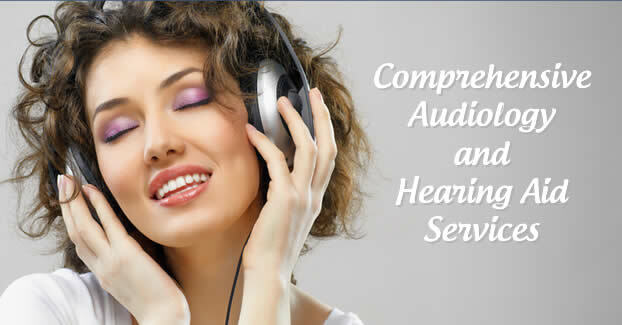 All clinical services are provided by Doctor’s of Audiology. Our offices are equipped to provide a wide array of hearing and balance related services using state-of-the-art diagnostic/clinical equipment. Comprehensive hearing evaluations for all ages, including newborns. Our Doctors of Audiology are specifically trained to determine the type and degree of hearing loss and to make the most appropriate recommendation for treatment or rehabilitation, conducting all testing in specialized sound chambers to ensure accuracy. We work closely with the area’s leading ENT doctors to ensure the most appropriate continuity of care if referral is needed. Dizziness and imbalance are among the leading complaints to primary care physicians. Our doctors are specifically trained to conduct specialized testing to evaluate the different systems responsible for maintaining balance. The results of this testing will often determine the best treatment regimen or suggest the need for further medical evaluation. This battery of tests can be conducted on patients of all ages. Our Doctors of Audiology are experts in the effects of noise on one’s hearing. The Keystone Hearing Institute works with many companies locally in providing annual OSHA hearing screenings and providing noise protective devices. If you are exposed to high levels of noise, either work-related or recreationally, an evaluation may be recommended to determine your risk of hearing loss and the potential need for appropriate hearing protection. Tinnitus is the perception of sound in the ears or head where no external source is present. Some people call it “ringing in the ears” or “head noise”. While tinnitus is often misunderstood, it affects up to 20% of the population. In fact, tinnitus is currently the number one service-connected disability for veterans. Our Audiologists will evaluate your tinnitus, determine it’s potential cause, and make recommendations on how best to treat it. The Keystone Hearing Institute works with the leading hearing aids manufacturers and laboratories in order to provide the highest quality of workmanship and technology available. Hearing aid repairs cost only a fraction of the cost of a new hearing aid and, often, will result in greatly enhanced hearing. Call us for a quote.